The 19th century Scottish explorer, writer, and philanthropist John MacGregor once wrote about the diversity of a canoe because it “can be paddled or sailed, or hauled, or carried over land or water.” MacGregor knew a good thing when he saw one, and recreational canoeing and kayaking has only been growing in popularity since MacGregor first paddled on a camping trip to Canada and the U.S. in 1858. From the rugged Ottawa, Mattawa, and French Rivers to the mighty Moose, Northeastern Ontario is a veritable playground for paddlers of all levels of experience. Whether you prefer to skim across a surface as smooth as glass on your stand-up paddleboard, or ride the whitewater of some backcountry rapids, Northeastern Ontario is your natural choice. All you have to decide is where you want to go. Think about your accommodations. Do you want an overnight camping trip? A series of day trips? For your next BIG adventure, see below for just a sample of Northeastern Ontario destinations. 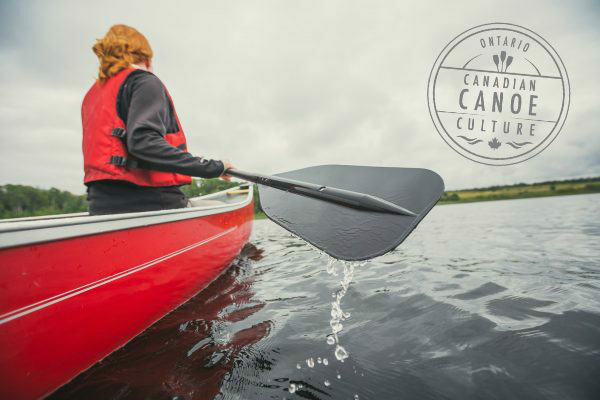 “If it is love that binds people to places in this nation of rivers and in this river of nations then one enduring expression of that simple truth, is surely the canoe.” – James Raffan, adventurer, acclaimed author and Director Emeritus of the Canadian Canoe Museum. 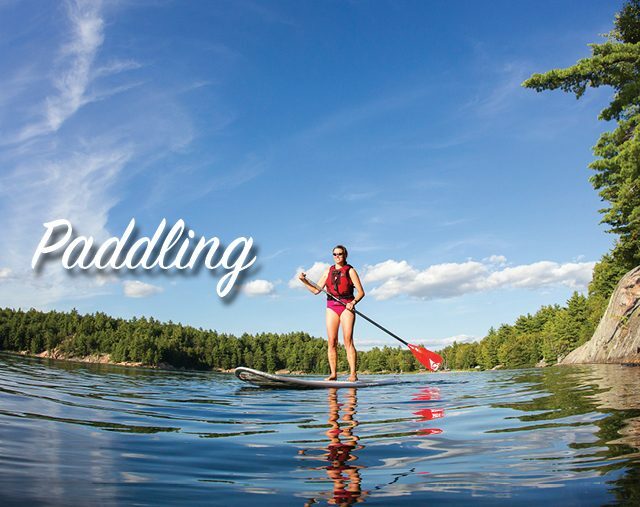 Find Your Next Paddling Adventure! In the land of the black spruce and rivers that flow into James Bay, the Cochrane area offers some thrilling paddling adventures. Paddle the route of Indigenous peoples, French and English explorers, the fur traders and the voyageurs. Centuries of history await you on the French, Canada’s first designated Canadian Heritage River. 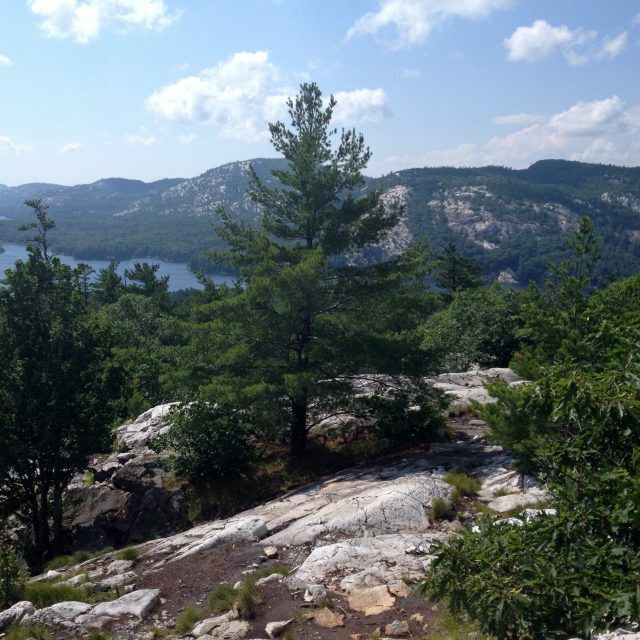 Killarney is like a painter’s palette with its white quartzite hills, green pines, red granite shorelines, and emerald waters. The North Shore is one of the most scenic places to kayak in Ontario. It’s the perfect location when you combine paddling with island hopping. If you’ve always wanted to be a voyageur and travel in the BIG footsteps of some Canadian legends, the Mattawa River is a good place to start. For the sea kayaker, Moosonee is the gateway to the north and a launching point for farther destinations, be it across the Moose River to Moose Factory, or up the west coast of James Bay. 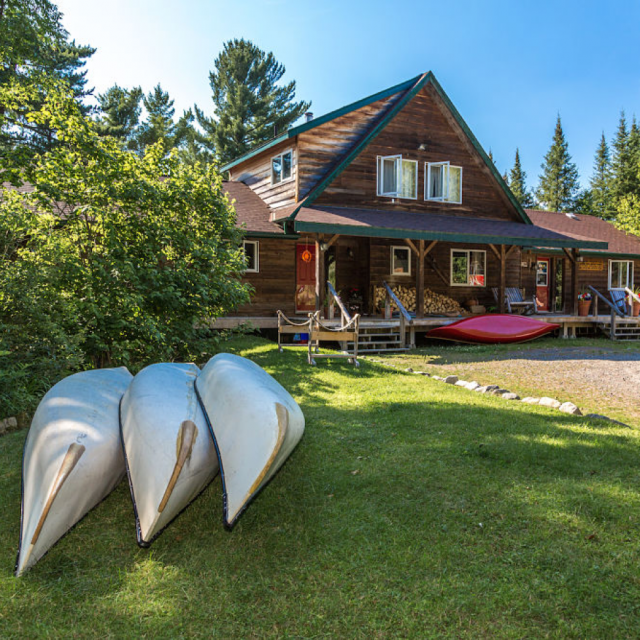 Situated between Lake Nipissing and Trout Lake, and straddling both the Ottawa River watershed to the east and the Great Lakes Basin to the west, paddlers can take off from North Bay in just about any direction—a great place to start your Ottawa, Mattawa, and French River trips! It’s no secret that Sudbury is home to 330 lakes, but the “blue lagoon” may be one secret well worth exploring. A seemingly bottomless lagoon surrounded by steep granite and quartz walls make for a paddler’s delight. For canoeing enthusiasts, the word “Temagami” inspires visions of lakes, rivers, and white and red pine, with plenty of access points for an unforgettable paddling adventure. Temiskaming Shores offers great canoe access westward to Maple Mountain in the heart of the Lady Evelyn-Smoothwater Park wilderness area. And whether it’s seen from the top looking down or from your canoe or kayak looking up, the view of the Devil’s Rock cliff is absolutely striking for its sheer height. 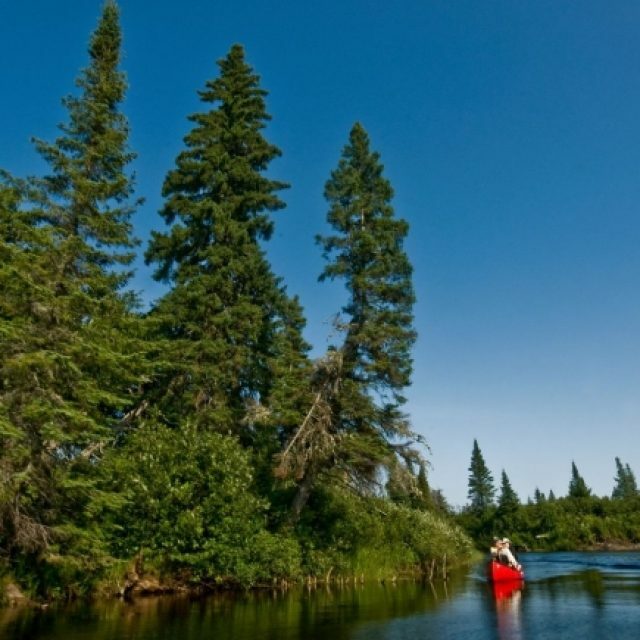 Timmins is a great place to start your canoe or kayak overnight or day trips. The famous Mattagami River is a natural choice, as is a route from Gogama to Smooth Rock Falls through Timmins.